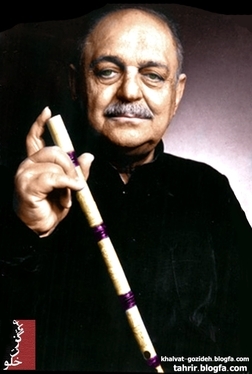 Ney with different transcription and transliteration forms like nai and nay refers to various oblique rim-blown flute of Iran, Turkey and some central Asian countries. 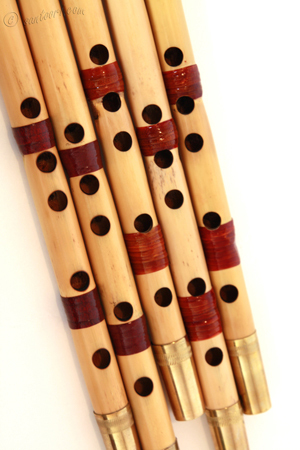 The term derives from the old Persian for 'reed' or `bamboo' and by extension 'reed flute'. The instrument has been known in the Near East since antiquity; iconographic and written documents attest its use by the ancient Egyptians in the 3rd millennium BCE. 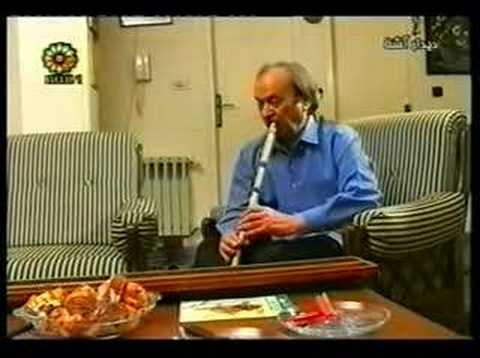 A Sumerian silver flute dating from 2450 BC has been found in the royal cemetery of Ur in Southern Mesopotamia. Persian ney or the ney of Iran is primarily a classical instrument; it is made of a seven-segment section of reed with six nodes, 40 to 80 cm long, and has five finger-holes and one thumb-hole producing the basic pitches c', d', e', f , f#', g', a' (the e and a are a quarter-tone flat). Musicians often use different sizes of ney during a concert. The missing notes can be obtained by varying the breath pressure, and the range can thus be extended to two and a half octaves. A virtuoso can play the three-octave range an one instrument by altering the position of his fingers on the holes, by movements of the lips and head, and by breath control. As the bevelled edge of the mouth-hole is sharp on the inside, it is often covered by a metal band to prevent damage to the instrument. The Joints are sometimes made at the nodes of the reed, the tube of which can be decorated with engraving. The reed pipe from which the instrument is made should be not less than three years old and the tube must be hard, smooth and Compact; the distance between the nodes is taken into consideration. 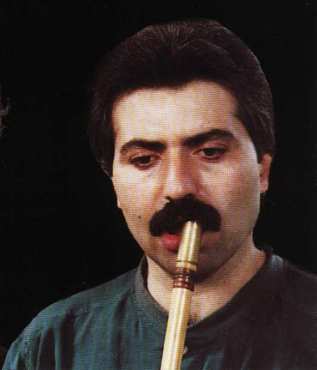 Persian ney Players place the rim between their teeth, which produces a warmer and more powerful tone; The ney is the only wind instrument in the classical Persian orchestra, but its melodic and rhythmic resources fit it equally for solo performance. Various popular forms of the Iranian ney are known, made of wood, reed or metal and with various vernacular names, for example the Baluchi nel, Turkmen tüydük and Kurdish shimshal.